When you need an expert electrician, don't trust just anyone. Call the local electrical pros at Same Day Electric to handle all of your electrical system needs. We offer upfront pricing, exact appointment times, and an unbeatable lifetime guarantee. Call us today for an estimate. Call (208) 547-6647 for Fast, Affordable Electrician Services. Are you looking for a qualified electrician for your Boise home or office? You'll find industry-leading skill and unmatched customer service at Same Day Electric. We specialize in all sizes of residential and commercial electrical jobs from breaker panel upgrades to extensive electrical system troubleshooting. At Same Day Electric, we aim to be the first and last electrician you have to call! Unlike other electrical contractors who only focus on the big, new construction jobs, our team of experienced electricians specializes in electrical service and repair, to help out when the other guys won't. When you partner with Same Day Electric, you'll always receive upfront pricing, exact appointment times, quality service, knowledgeable technicians, and an unbeatable satisfaction guarantee. We stand behind every job and we aren't happy until you're happy! The electrical system in your home is complex. When something isn't working right, you need a highly trained electrician to handle the job. Our electricians have over sixty years of combined experience in all size electrical jobs. We use only the finest parts and stand behind our work for life. Our electricians will arrive promptly at the scheduled time, uniformed, and ready to get the job done right the first time. Call Same Day Electric today to hire some of the Boise's best electricians! Same Day Electric offers a wide range of Boise electrical installation services for your home or business. Whether you need assistance installing new outdoor lighting to complete your renovation, or you need full electrical work for a new home addition, no job is too big or too small for our expert electricians. Contact Same Day Electric today at 208-547-6647 to receive an estimate for your Boise electrical installation project! At Same Day Electric, we specialize in a wide variety of electrical repairs. We know as a property owner, you can rarely plan for electrical repairs and that it can be stressful when you experience electrical problems. If you are experiencing electrical issues at your home, this could be a sign of a more serious underlying issue, so it is important to call a licensed electrician to troubleshoot your issue. The professional electricians at Same Day Electric are trained to diagnose your electrical problems quickly and safely. We will evaluate your situation and present your options to you keeping in mind cost, and especially, the safety of your property and guests. Contact us today at 208-547-6647 to receive an estimate for your Boise area electrical repair project! 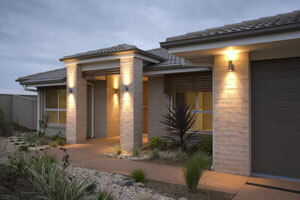 At Same Day Electric, residential electrical work is one of our specialties. Because your electrical system is at the heart of your home, it is imperative that you trust only qualified, experienced, and licensed Boise electricians. Whether you need a new ceiling fan installed, a new wall outlet put in, or you need a whole home electrical system upgrade, the pros at Same Day Electric will get the job done safely and correctly. At Same Day Electric, we take electrical problems seriously. Our experienced electricians are trained to be able to handle just about any type of electrical problem that they might encounter in your Boise area home. Hiring the right electrician could prevent serious problems later on, such as fires, shocks or even an electrocution. We know how important your family and your home are, so we will get your residential electrical issues taken care of correctly, quickly, and safely. Contact us today at 208-547-6647 to receive an estimate for your Boise area residential electrical project! At Same Day Electric, we are dedicated to providing business owners the highest quality Boise commercial electrical work. We perform a wide variety commercial electrical work, including work on building remodels, finish outs, and electrical system upgrades. The licensed electricians at Same Day Electric are experienced to handle all of your commercial electrical needs. Whether you are opening a new business or remodeling your building, our knowledgable, experienced Boise electricians can provide your business with an exceptional level of quality service. Contact us today at 208-547-6647 to receive an estimate for your Boise commercial electrical project! Kept me well informed on all aspects of the job. Plus answered any questions and or concerns that I had. Checked and confirmed all was in working order. Labeled the box with the corresponding outlets. Went out of his way in checking lines installed from previous installer. A very pleasant experience, and clean site work. Went above and beyond what was contracted to make sure all was right. I would definitely have him back. Prompt and professional service. A text with my service technician’s picture was sent prior to his arrival. The van was well marked. Shane was very professional and courteous. He provided an estimate prior to beginning work and was able to complete the job quickly and to my satisfaction. My newly installed ceiling fan which required the removal of a non fan-rated junction box and the installation of a new box works wonderfully. Great company and excellent service. After making my appointment, I received a confirmation text and prior to the appointment I received another text with a photo and bio of the technician that would be arriving. Drew was very professional, knowledgeable and polite. I reviewed the work to be performed, and an estimate was immediately provided for my approval. Drew was very thorough and updated me at each step. I highly recommend Same Day Electric!! Same Day Electric’s Chris M showed up exactly on time and was very professional and nice. He explained what had happened to cause my issue and explained how he would fix it and what it would cost. Once I signed off on it he got to work. He was quick and efficient and did a great job. It wasn’t an easy job since it was in my attic and required him to also work on the roof, but in the end he finished much faster than I thought he would. The price for the work was definitely very reasonable, especially after I saw how involved it was. Great company with excellent employees. Thanks. Appointment was confirmed via text message. A text message was sent alerting me that the technician was on his way. The technician was knowledgeable and the work completed exceeded my expectations. Would not hesitate to call them again. Highly recommended. I am new to Middleton; therefore knew no one. I reached out to Same Day Electric for a considerable size project, because of the recent reviews of others. It was refreshing to receive immediate courteous answer to my to my call. Megan was great. Asked specifics of project and scheduled immediately. Ben arrived as scheduled. He was professional and knowledgeable on all aspects! (installation of new can lights on dimmers, ceiling fans, light timers etc.). Integrity, high standards, excellent customer service. I will continue to use their services and refer to others. Thank You Ben! This is the second time using Same Day Electric, received the same excellent service. Chris was courteous and listened to our problem before starting to troubleshoot our problem. Within one hour he discovered the problem and fixed it better than he found it. He made sure we understood what he did and showed us the parts he used. We are very satisfied with the job and would recommend Same Day Electric and were very reasonable in cost. Could not have had a better experience. The cost of everything was transparent and upfront, rather than unknown and a surprise cost at the end of the work, and they were able to do the work that day. Highly recommend and will use in the future. Shane did an amazing job installing new lights throughout the house. My neighbors came to watch and they're going to have him come and do their work. We'll done! Could not have had a better experience. I messed with a ceiling fan and got in over my head, losing power to a few bedrooms in the process. These guys were quicker than they said they would be, and even texted a picture of the tech before his arrival. The tech, Shane, was super helpful and respectful, even left me a note as a homeowner, explaining what I had attempted to do (incorrectly and probably irresponsibly) and how he fixed it. My breaker panel was old and the situation to fix the ceiling fan was challenging and unique, and yet no problem. Highly recommend and will use again. Call us at (208) 547-6647 or schedule an appointment below. See if circuit breakers are up to code. We're having problems with our oven - we had a repairman look at it last week, and he thought the problem might be with the wiring and or the breaker. There is no problem with the rest of the range, only the oven. 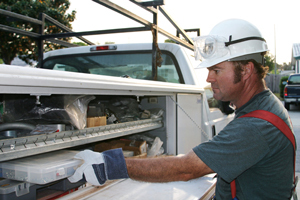 Since 2003, Same Day Electric has been the company of Boise electricians you can trust! Each member of our team is fully licensed, insured, and certified to handle nearly any electrical job, big or small. We specialize in both residential and commercial services from new ceiling fan installation to electrical car charging station installations. When you partner with us, you can always rest easy knowing you're working with experienced electricians who stand behind their work. Your satisfaction is our number one priority and we will do everything we can to ensure it. We guarantee exact appointment times from a real person when you call us, no surprise pricing, great electricians, and of course, satisfaction guaranteed. If you're looking for a skilled electrician in Boise, call us today at 208-547-6647 to schedule an appointment. Copyright © 2019 Same Day Electric.